Situated between the Yukon and Nunavut, the Northwest Territories (NWT) is the name given to one single expansive territory. The Northwest Territories boasts acres upon acres of untouched forests and a population of just over 40,000 residents. The territory's economy exploits its vast geological resources, including gold, diamonds, natural gas, and petroleum. 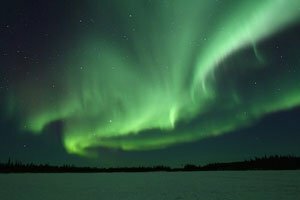 The capital city, Yellowknife, located on the shores of Great Slave Lake, is both a major industrial hub for workers in the region and a scenic town with abundant recreational opportunities. 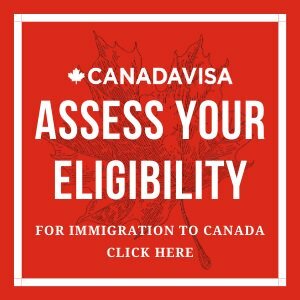 Through the Northwest Territories’ Provincial Nominee Program (NTNP) program, prospective immigrants with the skills and experience targeted by the province may receive a Northwest Territories Provincial Nomination Certificate, which will allow that foreign national to apply for Canadian Permanent Residence. The NTNP Express Entry Stream for Skilled Workers is designed to nominate Express Entry candidates who meet the eligibility criteria for the Northwest Territories’ Skilled Worker stream. Foreign nationals who have been accepted into the federal Express Entry pool may be able to apply to this Express Entry Stream for Skilled Workers. Learn more about the eligibility requirements of the Northwest Territories Express Entry Stream for Skilled Workers. The NTNP Skilled Worker Stream enables the Government of Northwest Territories to nominate individuals who have received an offer of employment in a skilled position from a Northwest Territories employer. Applicants must have already worked in the position in the Northwest Territories for a minimum of six months. Learn more about the eligibility requirements of the Northwest Territories Skilled Worker Stream. The NTNP Critical Impact Worker Streams enables the Government of Northwest Territories to nominate individuals who have received an offer of employment in a semi-skilled or unskilled position from an NWT employer. Applicants must have already worked in the position in the Northwest Territories for a minimum of six months. Learn more about the eligibility requirements of the Northwest Territories Critical Impact Worker Stream. The NTNP Business Stream is geared towards foreign nationals who demonstrate the ability to start, acquire, or invest in an existing Northwest Territories business which provides or may provide economic benefit to the Territory and create jobs. Learn more about the eligibility requirements of the Northwest Territories Business Stream.